I promise every post won’t be about baby food, but with an eight-month-old at home it’s where my head is right now. That eight-month-old is loving food, which we call “hamoo” (Polish for “food”). Or at least she’s loving pureed hamoo…maybe it’s because she remains toothless that she dislikes any kind of lumps or chunks. I always knew I’d make at least some of my own baby food because it’s what my mom did. But over the last few months that I’ve realized there are plenty of other good reasons to make baby food at home and I thought I’d share. Despite help from Popcorn’s Polish grandmother (who loves to purée), P’s diet is not 100% homemade. Sometimes a store-bought jar that can be stashed in the diaper bag saves the day, but we try to save those jars for when we need them. Here are my top 8 reasons for making your own baby food. You control what goes into it. Choose local or seasonal foods, if you want. Choose organic or not. It’s up to you. 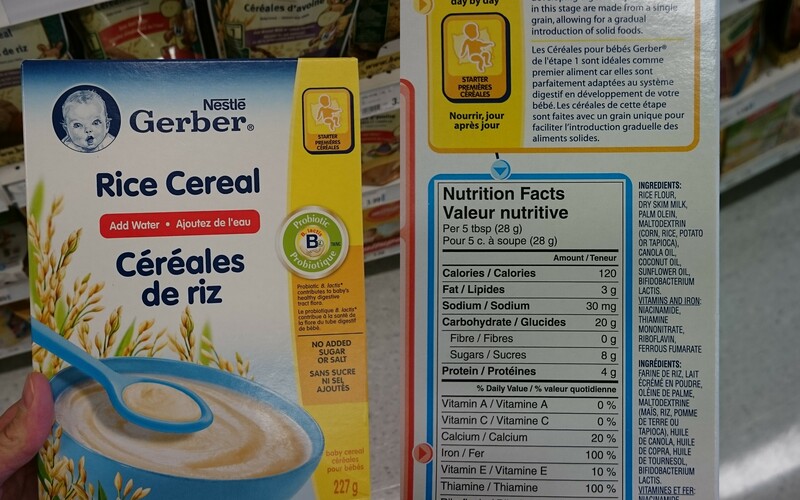 The ingredients on this Gerber “starter” food (rice cereal) are: Rice flour, dry skim milk, palm olein, maltodextrin (corn, rice, potato or tapioca), canola oil, coconut oil, sunflower oil, bifidobacterium lactis. Vitamins and iron: niacinamid, thiamine monotritrate, riboflavin, ferrous fumarate. No added sugar or salt. 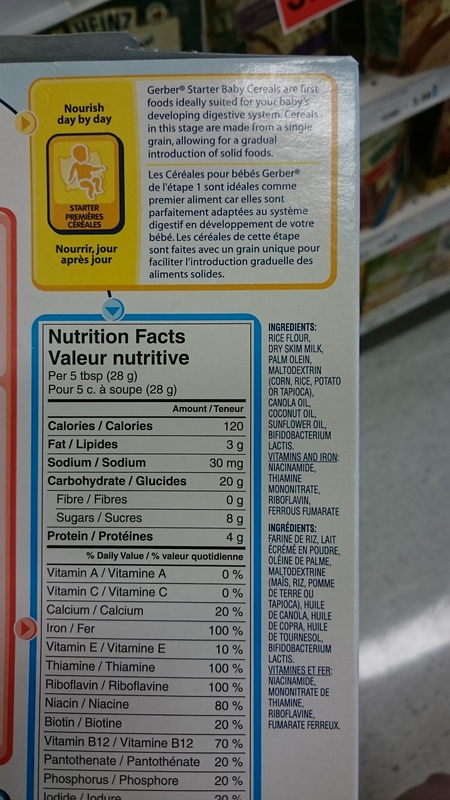 I’ve noticed baby food companies (*cough* Heinz *cough*) add sugar to fruit purées marketed as “first foods” to parents of babies 6 months and up. Fruit does not need sugar, and neither do babies under a year. 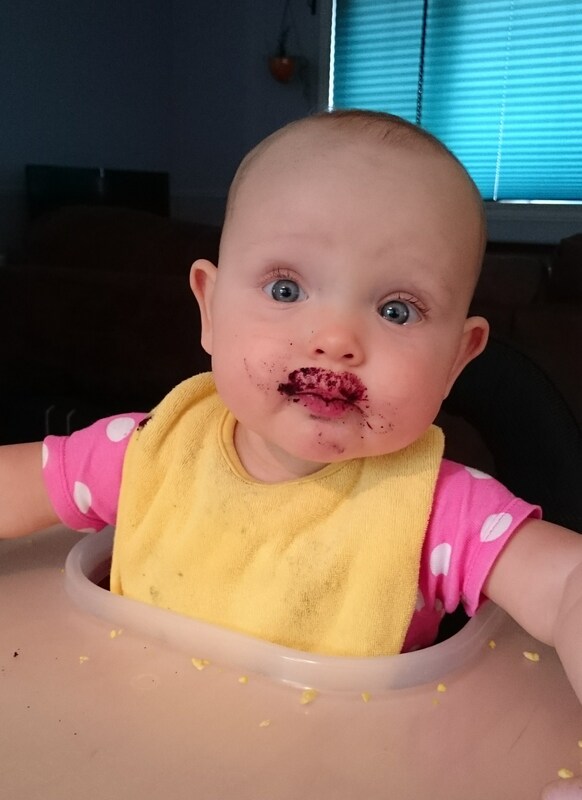 Mmm…wild blueberries! No added sugar! Sappy attachment reasons. Transitioning P from breast milk to solid food was actually a little sad for me, since previously I could provide everything she needed. Feeding her food from our garden feels like an extension of breastfeeding because we grew it ourselves. I’m a softie. Baby eats what you eat. After a few weeks or months of bland purees or finger foods, baby can start eating what the parents and siblings eat. Spices, herbs, and cultural foods that may be familiar from baby’s time in utero make another appearance, and baby gets up to speed on family-favourite dishes at a young age. Accommodate special diets. Baby have allergies? Or, like P, is going to be vegetarian? Homemade food ensures freedom from lactose/nuts/gluten/meat or whatever else you need to avoid. It’s straight-up cheaper. One sweet potato fed our little girl for a week. Jarred food would cost at least $2 a meal. 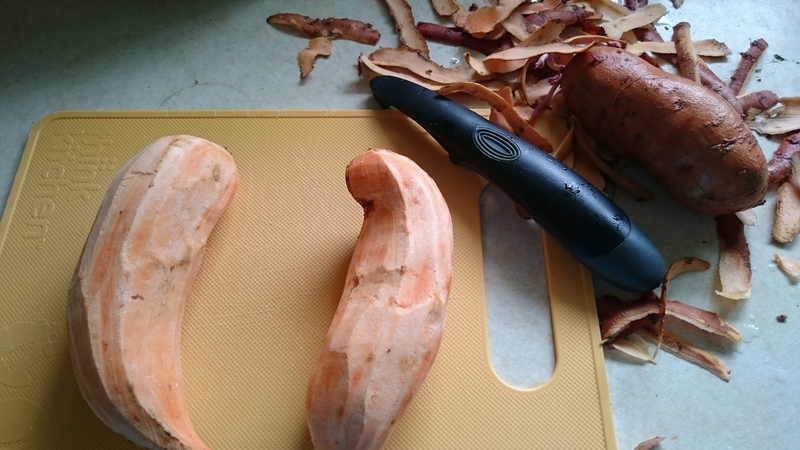 Sweet potatoes make EVERY other vegetable go down a bit easier. You choose the packaging. Being vigilant about what goes into food is enough to think about. I don’t want to start fretting over the Crazy coatings that may or may not be on squeeze pouches; BPA in plastic containers, or any new chemical boogiemen. There you have it: eight very good reasons to dust off your blender, potato masher, or food mill. Did you think it was worthwhile to make your own baby food? Let me know in the comments below. 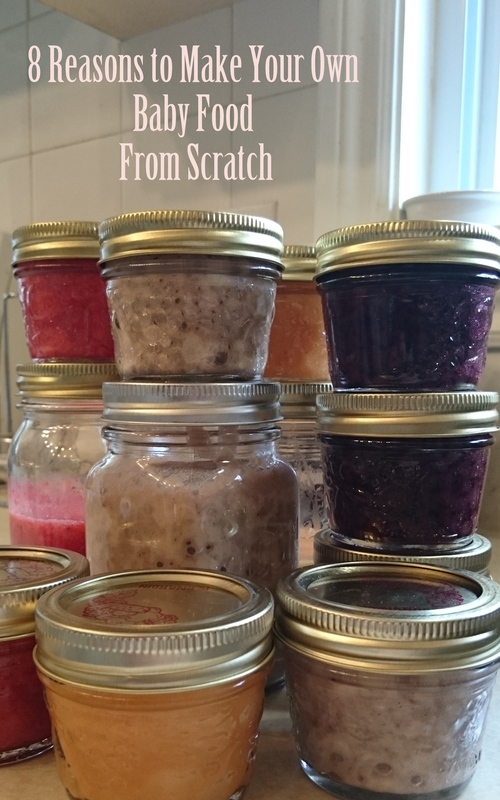 Just wondering – are you canning the food or just using the canning jars as storage? Have you tried freezing food, or do you just keep it in the fridge? We keep puréed food in the fridge for 2-3 days maximum and freeze the rest. The canning jars are just for storage…I’m too nervous to actually “can” at home. I like them because a) They’re glass (not plastic) b) They can be heated in a pot of hot water on the stove and c) They can be frozen. Canadian Tire has super convenient plastic lids you can use too, instead of the metal ones.